So, they can be valuable, pretty, people like them, and they are kept in outdoor koi ponds. So, a group of colorful fish in an outdoor pond – sounds a little like a predator magnet to me! As it turns out, a product that we developed for chicken keepers also works very well for keeping predatory birds away from valuable koi. That’s right – Hawk Stopper – the visual deflection net brought to you by predatorpee – is a solution to preventing aerial attack on your unsuspecting koi. Each unit protects 1500 sq ft (approx. 20’x75′) and includes 100 feet of rope for installation! We have sold hundreds of Hawk Stoppers since its introduction last year. New this year, we have developed the Mini Hawk Stopper for smaller applications – the same concept in a smaller size. Visual Deflection Net – 700 sq ft (approx. 20’x35′) – Still includes 100 feet of rope for installation! So, no matter how big your koi pond is, we’ve got you covered! But, as I always say, you don’t have to take my word for it . . . This information combined with field tests and customer feedback have led us to conclude that Coyote Urine is the answer to the raccoon problem. But, you say, “there are no coyotes anywhere near where I live, why would that scare a raccoon?” Good question. The answer is that the fear of a predator is instinctual(thus hardwired in) and not dependent on actual proximity or exposure to said animal. But, you don’t have to take my word for it. The comments below are from actual predatorpee customers. So, raccoons got you up at night? Get some 100% CoyotePee and rest easy. Click here to purchase. For application instructions, click here. Which Came First – The Chicks or The Eggs? Greetings from the North Woods where we seem to be stuck in Sprinter – no snow but not quite warm enough yet. This post, however, is about all things Spring. 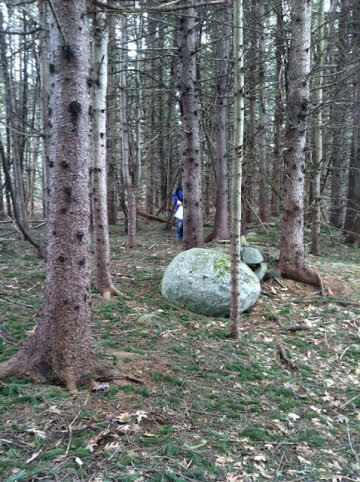 Easter time at Winterberry Farm featured the annual egg hunt in the woods. As you can see from the photos, there was still some snow on the ground at the edge of the field. Every year, I have the job of hiding the plastic, treat-filled eggs, and every year I seem to forget exactly how many my wife gave me to hide. Oh well, the forest creatures find them eventually and enjoy a little sugar fix. 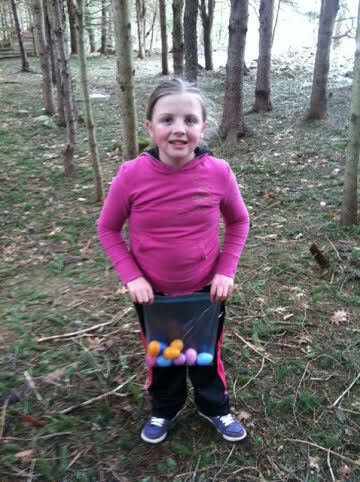 This year, my 2nd oldest granddaughter was the champion egg hunter. Moving forward a bit, 8 chicks arrived last week. 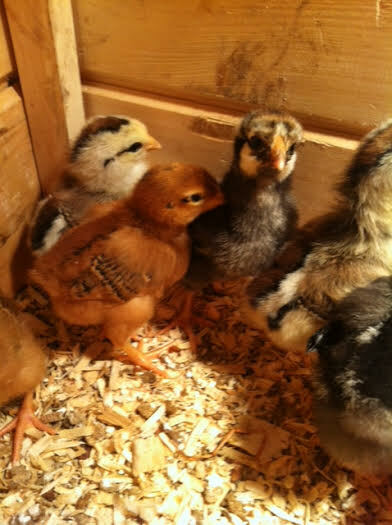 Hopefully, in about a months time, they will be ready to join Brown Betty and the Amish Hen in the chicken coop. With 10 layers, I think the egg production should be enough to feed us and the growing grandkids. I just recently moved the chicken coop closer to my wife’s garden beds, and within a week I saw a fox checking out my hens. Well, that is just not acceptable for the PeeMan! If you have chickens, you know how valuable they are. One of the uses of our 100% Pre datorpee is to keep predators away from your precious hens. 100% WolfPee will keep the foxes away from Brown Betty, the new chicks, and your hens as well. Don’t just take my word for it – backyard chicken officianado The Chicken-Chick also recommends our product for hen protection. I hope your hens are safe and Spring is in full bloom wherever you are. Greetings! 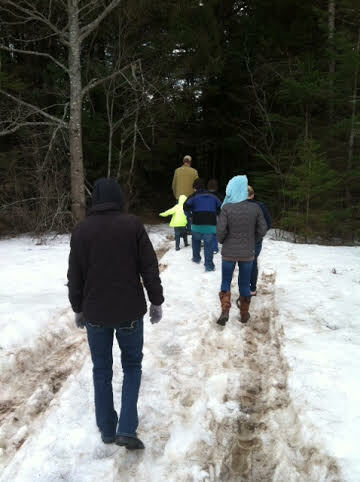 About 10 inches of snow on the ground and more predicted for tomorrow – winter wonderland at Winterberry Farm! But, today’s blog post takes us to a place where Christmas is green and palm trees fill the landscape – beautiful Hawaii. It seems that the author of the following blog had been struggling with the destruction caused by the feral hog population on her island home UNTIL she found PredatorPee! But, you don’t have to take my word for it – read below . . .
Snorting grunt sounds wake me up in the middle of the night. Baffled at first, I finally emerge from a fog and think that pigs must be poking around somewhere on my property. When the grunts intensify, however, I become alarmed and realize that hogs are climbing the hill to my house. My large furnished lanai is open on one side and its centerpiece, a lush indoor garden, would serve as a delectable gourmet grazing ground for the hungry beasts. Scary thoughts of wild, long tusked, razor-backed, boars pillaging the lanai race through my mind— like a train to hell. Over the years, country living has allowed a menagerie of unwanted animals to parade through my yard. Among them are: a gaggle of snapping geese, ti leaf chopping cows, a screeching peahen that settled in for 3 months, a herd of goats and now wild boar. In fact, voracious wild pigs are creating havoc all over the island of Kaua’i. Pigs prance down from the mountains in search of food and ruthlessly tear up vegetable gardens, ornamental plants and can even be found rooting around beach resorts. Soil erosion and loss of native plants are serious problems, but what about the tourist industry? Somehow, a “wild pigs in paradise” picture does not fit the happy Hawaiian holiday cliché that lures tourists. Reflecting on the saying,“ if you get a lemon, make lemonade”, I ponder; how can this potential problem become an asset? One idea: clever advertising would feature wild boar BarBQ as sustainable organic fare in our island gourmet restaurants. Although, I have never eaten wild boar, it only seems responsible to consume game that has been killed— and to give thanks. The clock says 2 AM when I jump out of bed, run out on the second story lanai and begin yelling relentlessly, ”Get out of here!” Understandably alarmed, my neighbor comes crashing through the dense foliage ready to scare off a human intruder. ‘It’s the pigs’ I say, “They’re on a rampage.” I am aware that my explanation seems bizarre since, by this time, the pigs have become as silent as deer and no predator, man or beast, is visible in the inky night. My neighbor looks up at me standing on the lanai like an apparition in my white nightgown, shakes his head, says, “good luck”, and disappears. It is apparent that my sanity is in question if not completely negated. By now, the mute pigs don’t seem threatening, even to me, so I fall back into bed, and repress the drama like a bad dream. I remember nothing about it when I wake up. It is deja vu a few days later when I spot three little, red-brown pigs, perhaps teenagers, nosing around my yard in broad daylight. It jolts my memory to recall the night-marauding pigs. Now, these scoundrels are rooting up some of my favorite ornamental plants, an extensive bank of bromeliads. Would my orchids be next? The next day six spotted swine appear (they seem to group in triplicate just like the nursery rhyme) to scope out the territory. Alas, the following morning broken bromeliads lie scattered on the ground like sacrificial offerings to a hog god. This is serious; I call for help. My neighbor, I’ll call him Robin Hood, comes by with bow and arrow, (thankfully, when I am away), kills, then later smokes and eats the pork. The following day, Robin Hood’s son, a young tattooed man with bulging muscles, brings over traps. After he scopes out the property and finds likely sites to set them, I ask him, ”what about my cat?” This plan seems sketchy, slow and somewhat dangerous to my pet. And I’m not betting on traps eliminating all 5 remaining pigs in a timely fashion. Maybe there are more, perhaps 9,12 or even 15 pigs waiting to pillage! My bromeliads have suffered severe damage and will be completely decimated if the pigs persist much longer. Still looking for a quick fix, I call the Ag extension man. But he has no other ideas than those that the men are already trying. A friend of mine has dealt with a wild pig problem successfully in a non-violent way. The once wild pig, named Petunia Hawg, wanders around or sleeps somewhere in his neighborhood until it’s time to eat. Both early morning and late afternoon, Petunia appears punctually at the back door and rubs up against the deck until food is placed in her pot. She no longer destroys gardens and everyone is happy. OK, that is a peaceful solution for one animal, but feeding 6 grunting pigs twice a day is not my calling. A big break through occurs at my place. My housemate goes online and discovers the PredatorPee,com website. 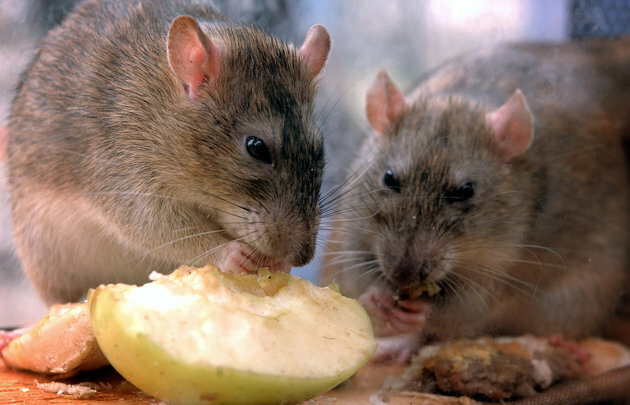 The principle of this strange strategy is that specific animal urine scents, such as wolf, bobcat, coyote and fox will deter specific predators. I briefly reflect upon how on earth anyone would collect pee from those animals and decide that I don’t want to know, although I am excited about the promise of purging pigs in such a peaceful way. The website says that mountain lion pee is guaranteed to drive off desert animals such as armadillos and javalinas, as well as wild boar. I immediately place an order online. I can’t bear the thought of dispensing liquid pee, but thankfully they offer an alternative form: crystalline mountain lion pee. Since it has to be shipped from the mainland to Hawaii, I have time to anguish over my diminishing bromeliad bed and talk to people about the problem. Robin Hood’s son comes by to check the traps and reports that they have captured 2 pigs. He is skeptical when I tell him about the mountain lion pee, saying that Hawaiian pigs have never been exposed to lions, so where would the fear come from? That makes sense, but I hope he is wrong. Finally, one afternoon, I see the brown UPS truck climbing my driveway and get excited. When I tell the deliveryman what’s in the box, he boosts my confidence for its potential by saying that it must work by genetic memory rather than by a learned response. Immediately, I rip open the box and find 2 cylindrical containers, like oversized saltshakers. Indiscreetly, I hold one up to my nose and take a whiff, which almost knocks me off my feet. Feeling like a sorceress who should be chanting magic words, I sprinkle pee crystals around the perimeter of the bromeliad bed. Would these strange, strong and smelly crystals make pigs flee on their tiny hoofs with disgust or fear— or both? Will it work? Several months later, I can report that no plant-plundering pigs have returned to my property. Elated with success, I email the pee man at to see if they have pee to ward off pesky wild chickens. The reply is informative, but disappointing. They say that chickens do not have a highly developed sense of smell, therefore making it impossible to provide a scent that would scare them away from my vegetable garden. I have a theory. Way back at the beginning, the rooster smell gene became weak when it was intimidated by the sound gene.